Polybutylene (PB) is a plastic resin that was used for water supply pipes for about 20 years, starting in 1978. It was cheap, easy to install, and substituted for copper pipe in nearly 25 percent of all homes built during that period. Due to the low cost and ease of installation, polybutylene piping systems were viewed as “the pipe of the future” and were commonly found in the “Sun Belt” where construction was heavy through the 1980′s-1990′s and is also common in the Mid Atlantic and Northwest Pacific sta tes. The pipes are gray or white with dull finish. PB was also used for underground water mains, which are usually blue, gray, or black. 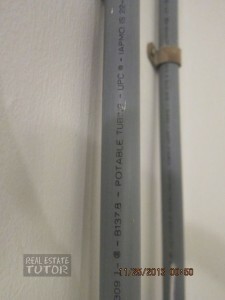 The problem with polybutylene pipes is that they often sprout leaks inside walls or ceilings, requiring extensive repairs and a complete re-plumbing of the house. There are reasons why the pipes fail. First chlorine and other oxidants are leached into the pipes which will react with the piping causing them to become brittle. As the pipes become brittle, micro-fractures result reducing the structural integrity of the pipe. Second, the pipes may have been installed improperly. Whichever the case, the system becomes weak and may fail without warning causing damage to the building structure and personal property. 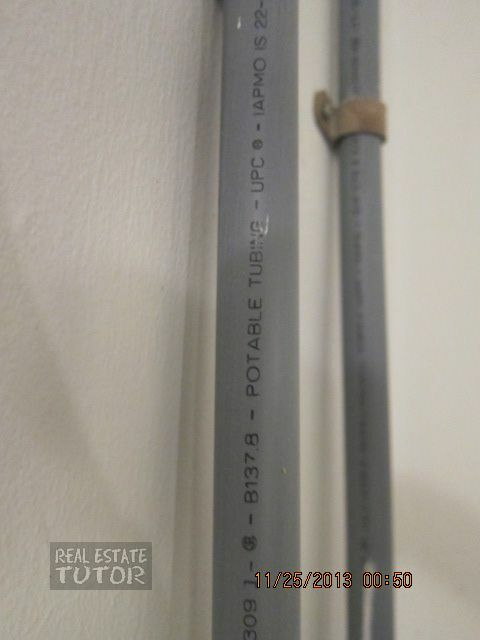 Home buyers should ask their home inspector to check the plumbing lines close to the water heater or in the attic to determine whether they are polybutylene and to check the type of fittings. Why Should You Obtain A Home Inspection?